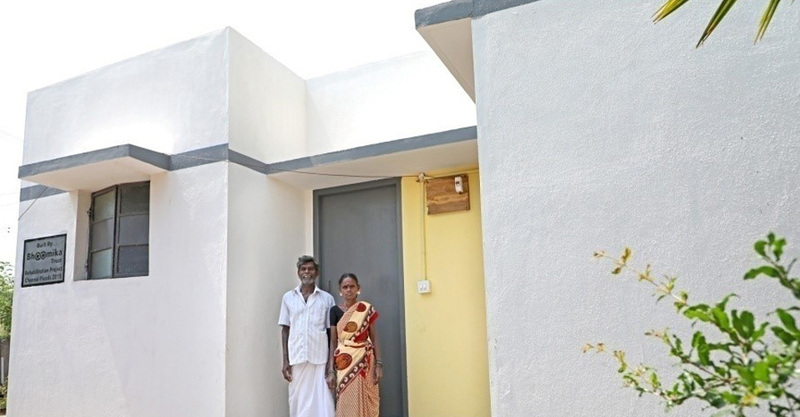 As part of the Rehabilitation of the flood affected and creating disaster resilient homes, Bhoomika worked in a few locations to build houses. 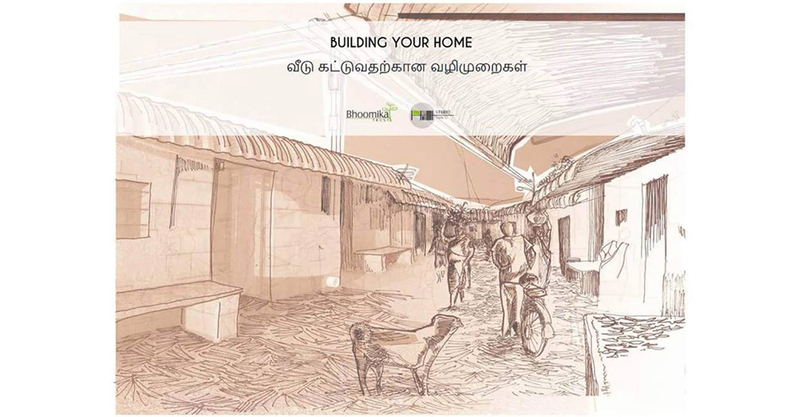 Bhoomika worked with a team of young Architects to create housing models to be adapted on a standardised basis. 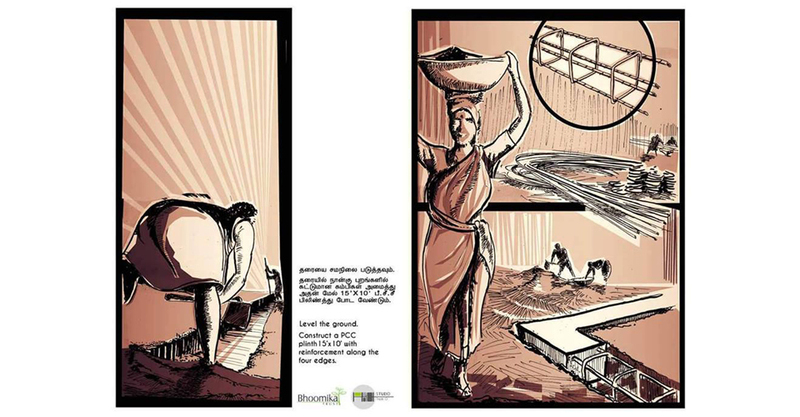 The models were developed by the architect team in consultation with the community. 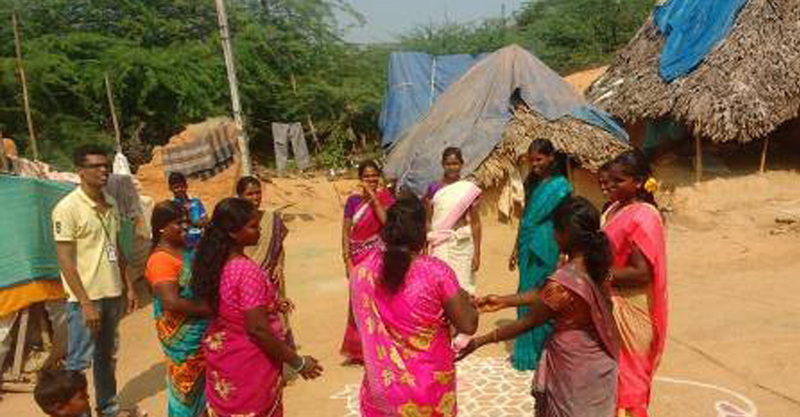 Community Participation was considered to be the key to restoration and Bhoomika’s team built extensive community rapport to identify common issues in all the areas that were taken up for infrastructure creation. The community participated in the building activity. Manamathy is a village located in Thiruporur Block of Kanchipuram district in Tamil Nadu. 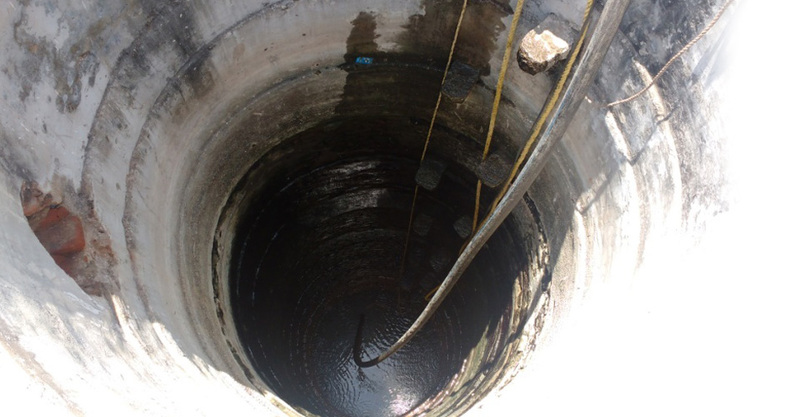 It is located 14kms away from Thirupporur towards Thirukkazhukundram and faced the fury of floods in December 2015. 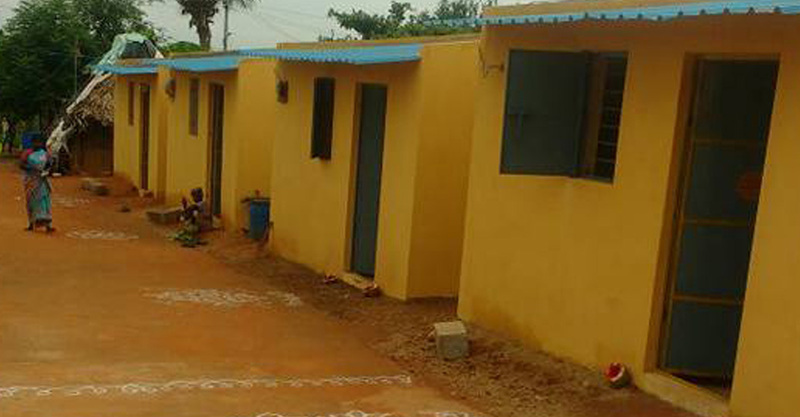 Bhoomika Trust had provided relief materials to one of the affected clusters during the floods and as part of permanent relief, built houses for 17 families whose houses were devastated by the floods. 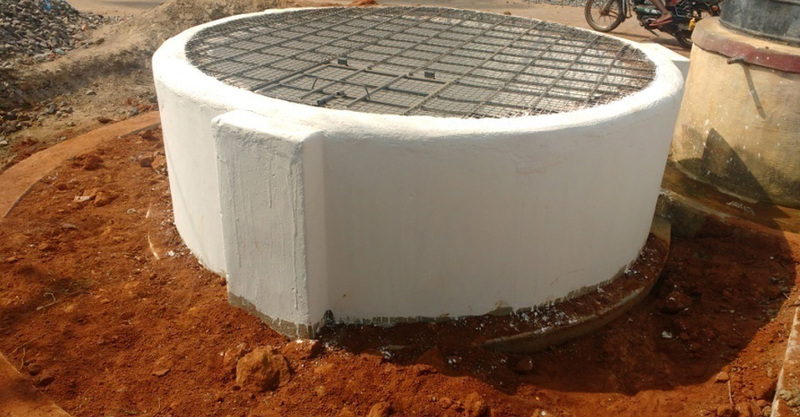 A Well within the community which was abandoned has been completely restored for use. 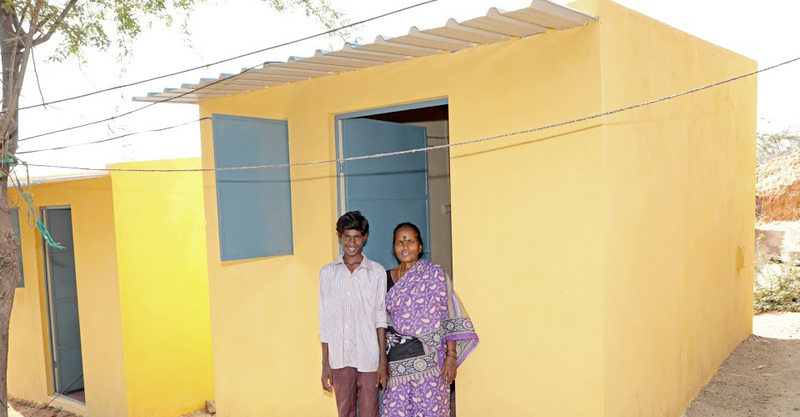 Manjankaranai is a medium size village located in Uthukkottai of Thiruvallur district, Tamil Nadu with around 296 families residing in 3 clusters. 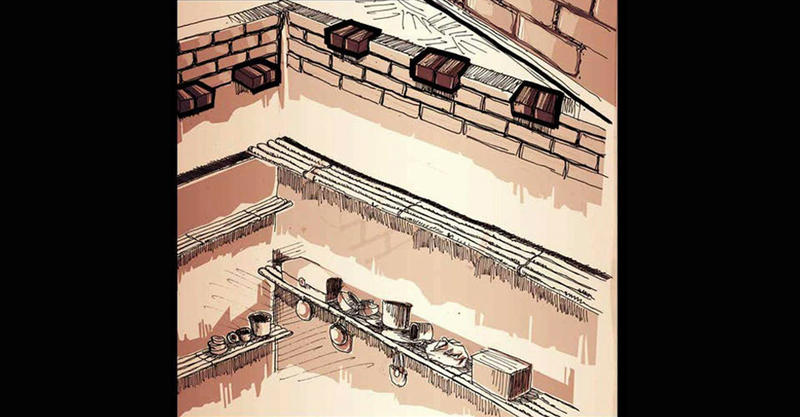 Bhoomika identified one of the clusters which had about 19 houses all of which are thatched houses with mud walls. During the floods in 2015 many of these huts were badly damaged with the water level climbing upto 4 feet. 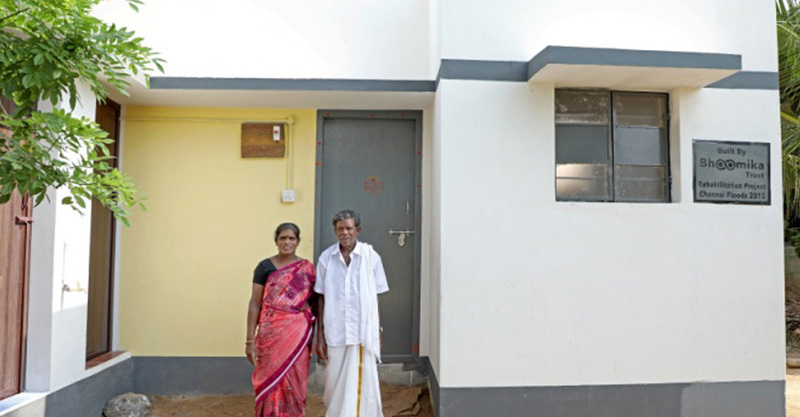 The work was taken up in phases and a total of 16 houses have been constructed and handed over here. Arumbakkam village is a small hamlet in Poondi Taluk of Thiruvallur District in Tamil Nadu. 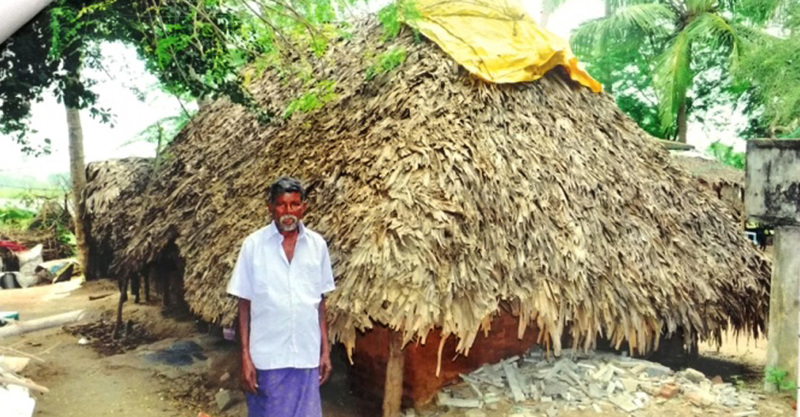 This village which is one of the affected areas in the floods of December 2015, is about 65 kms away from Chennai and situated near the Poondi reservoir. The main occupation of the villagers is fishing in the Poondi reservoir. There are around 138 families living in three clusters in this village. 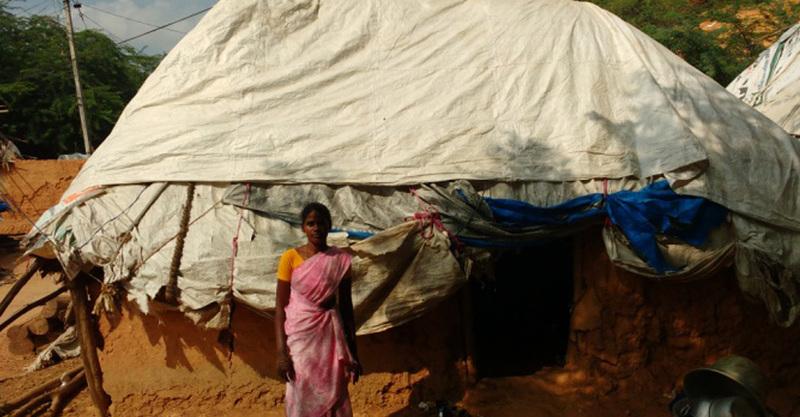 During the floods in 2015 several thatched huts with mud walls were badly damaged. 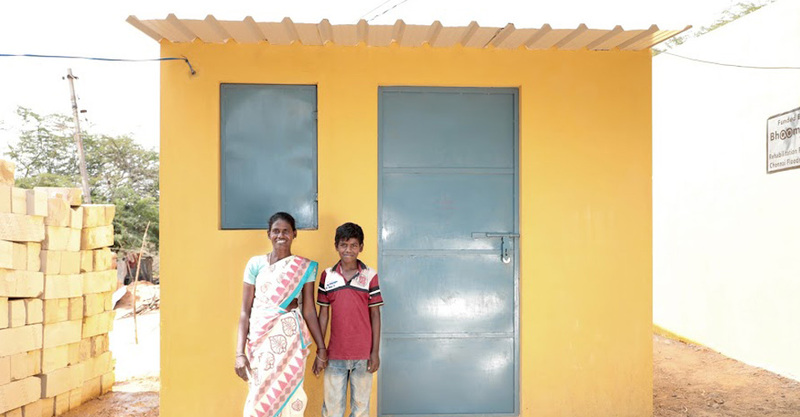 Bhoomika has built 7 Houses in this community. 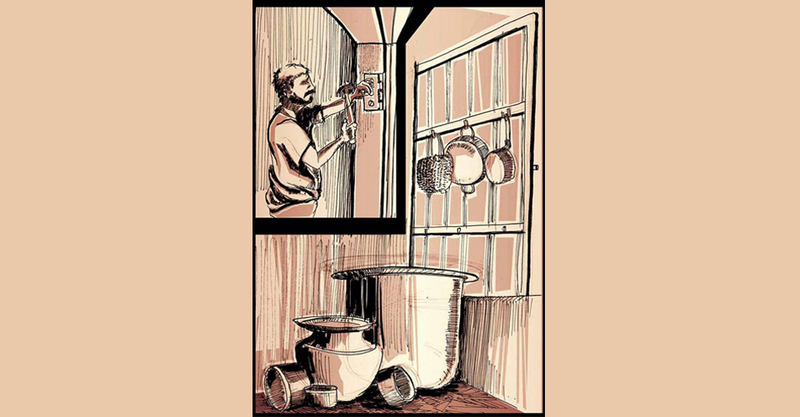 Melkanakampet is a small settlement inside a wooded area, a small block in Manamathy a village in Thiruporur block of Kancheepuram district of Tamilnadu State. It is one of the 90 villages of Thiruporur Block of Kanchipuram district. Melkanagampattu’s population is around 483. 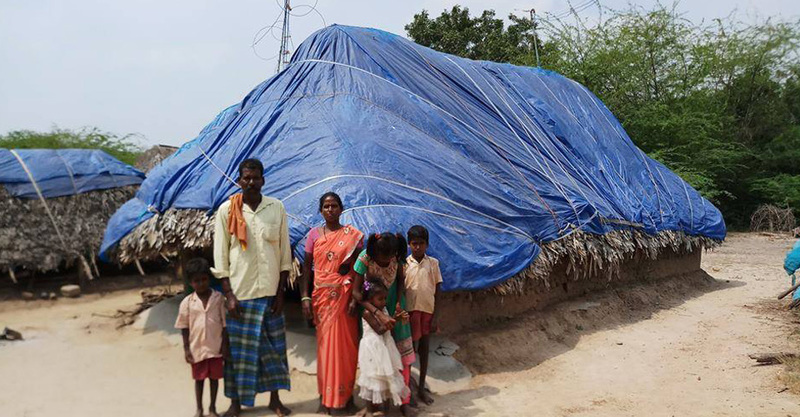 Bhoomika Trust had provided relief materials to one of the affected clusters in this village during Chennai floods 2015. They are mainly agricultural labourers. 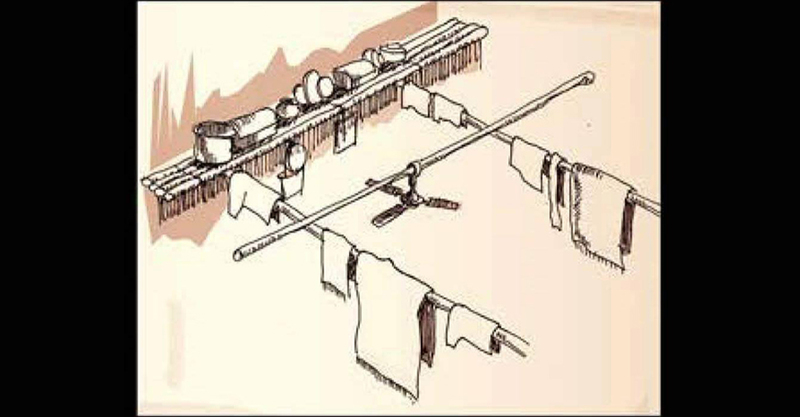 This cluster which was badly affected consists of 13 mud wall, thatched houses. The large Manamathy lake nearby filled over and the water drained through the settlement at 5 ft height, destroying their huts. 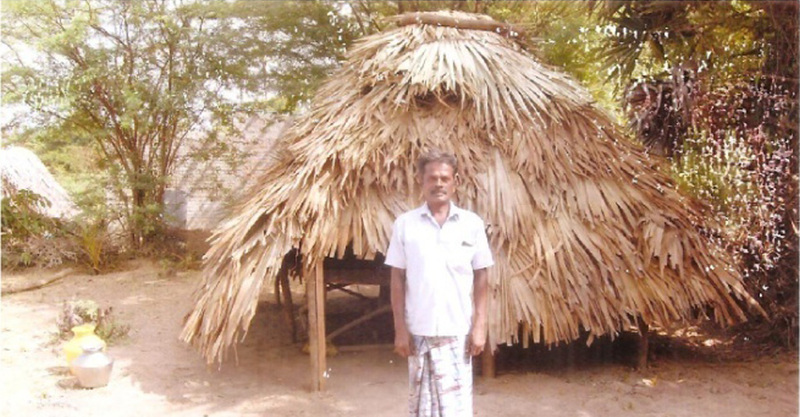 They were living under thatched roof protected by tying sarees and other material around them. 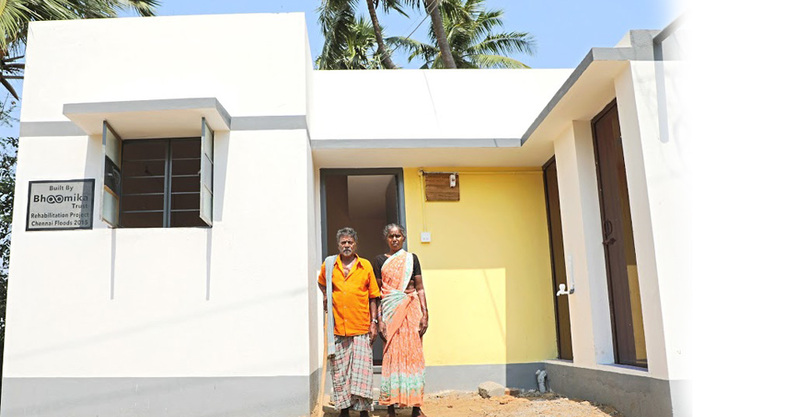 As part of Bhoomika’s rehabilitation program we built 7 houses and handed them over before the North East Monsoons in 2017.